Oh what a night! I love that song by Frankie Valley and the Four Seasons, and it describes a recent tasting where I found some great wines to serve guests at our bed and breakfast. On a wonderful summer evening at the Belfry, I tasted great wines and learned some great history about the early days of Napa Valley wine making. As some of you may know, I love history and often the story about a wine is as good or better than the wine. The tasting was hosted by Cellar 55 Wine Merchants and presented by Polly Hemstock from Classic Wine Imports. 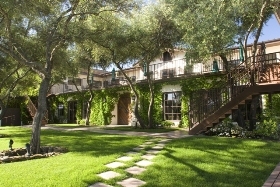 We shared four wines from Grgich Hills Estate from Rutherford, in the heart of Napa Valley. I was so intrigued with Polly’s historical notes on the history of the founder and the Estate that I spent time later researching it. My understanding of Mike Grgich’s important place in the history of Napa gave me a much deeper appreciation for the wines we tasted that night. Mike Grgich, born Miljenko Grgic in Croatia, came to the United States in 1958 to work for some the early pioneers of the fledgling wine industry in Napa Valley. 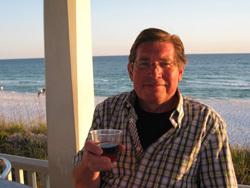 He apprenticed at the established and well respected Souverain Cellars, Christian Brothers, and Beaulieu Vineyards. He moved on to become a young winemaker for the new venture started by Robert Mondavi, who was his lifelong friend. In 1972, he joined Chateau Montelena as a limited partner and winemaker where he made the 1973 Chardonnay that won the famous Paris Tasting. The best book about this historic 1976 event is the ‘Judgment of Paris’ by George Taber. A less historically accurate, but very humorous and informative movie called ‘Bottle Shock’ also covers the event. The significant message in both is that for the first time, California wines were recognized as better than the historically far superior French wines. As stated by Mr. Taber on his on his book cover, “The Historic 1976 Paris Tasting That Revolutionized Wine". For years I have seen Grgich Hills wine in shops, but never tasted any and never realized that this Grgich was the famous winemaker from the Paris tasting. I also did not know that the "Hills" in Grgich Hills is for Austin Hills of the Hills Brothers Coffee family, Mike's long time business partner. I thought the winery established in 1997 was located on a hill named Grgich in Rutherford. See how little I know. But this night’s tasting set me straight on many facts and exposed me to the wines that are still being made by this California legend, even as he approaches 90. Polly artfully weaved in these bites of history that I loved as we explored the wines. 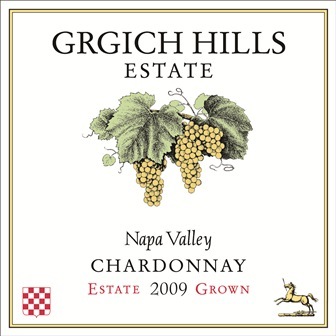 The first wine was the 2010 Grgich Hills Estate Fume Blanc Napa Valley pared with a Summer Fruit Salad with local honey. This oak finished Sauvignon Blanc was heavy on the grapefruit and went super with the honeyed fruit. 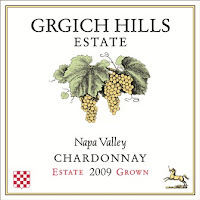 Next we had the 2009 Grgich Hills Estate Chardonnay pared with a Pan Seared Local Striped Bass. The combination was terrific, the Chardonnay is what made him famous and this was proof that he has lost nothing in the years since his 1976 victory. I quickly learned that although he may be famous his Chardonnay, he knows how to make a great red. 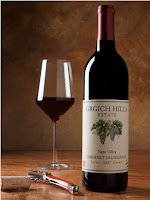 We started with the 2008 Grgich Hills Estate Zinfandel Napa Valley with Prosciutto and Fig Pizza. I fell in love with this Zinfandel and the fig paring was perfect. 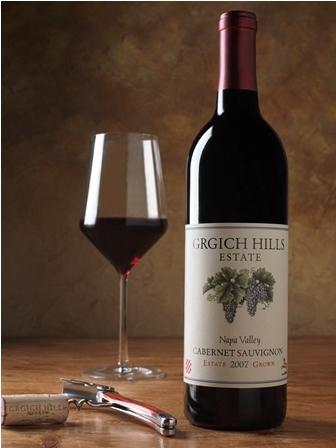 We finished with the 2007 Grgich Hills Estate Cabernet Sauvignon pared with a Slow Cooked Colorado Lamb Pot Pie. The Cab was great, but I got so excited about the Lamb paring that I forgot about the details of the Cab. I only hope they put this Pot Pie on the fall menu at the Belfry Bistro. Back to my earlier refrain; Oh, What a Night! I got a lot of great history and a lot of great wine and food parings. As is often the case with low production, legendary wines, the price point is not something that makes it attractive to serve as a house wine, but I still had a great time and, as always, gained knowledge and another story to share with guest at our Inn.